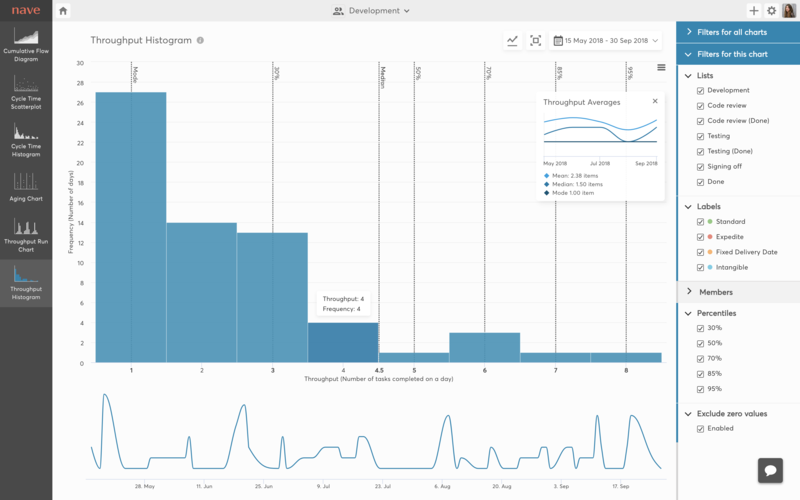 Use past performance data to make accurate future predictions about your productivity levels. 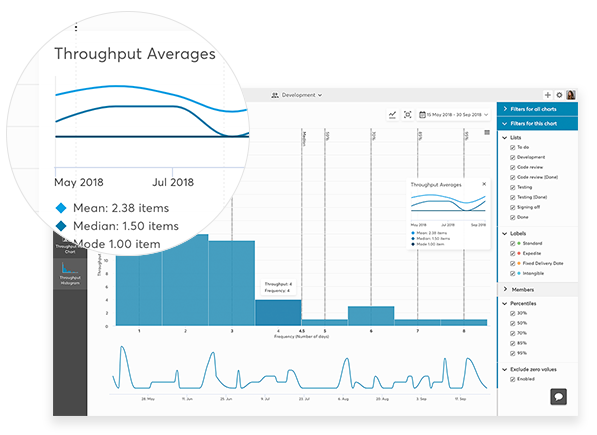 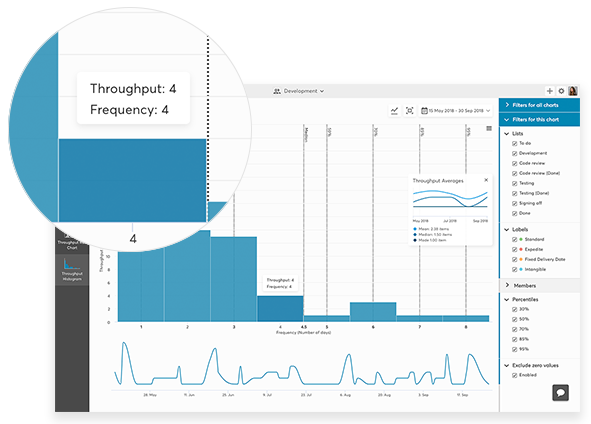 With the throughput histogram for VersionOne by Nave, you can forecast future delivery task based on the past performance of the team. 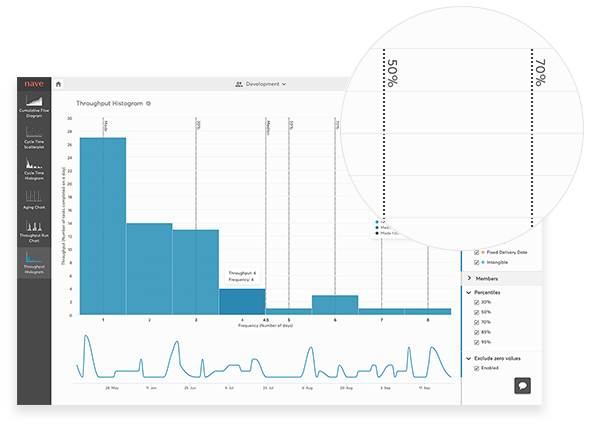 Using percentiles you can assess what is the probability of a certain amount of tasks to be completed on a daily basis.